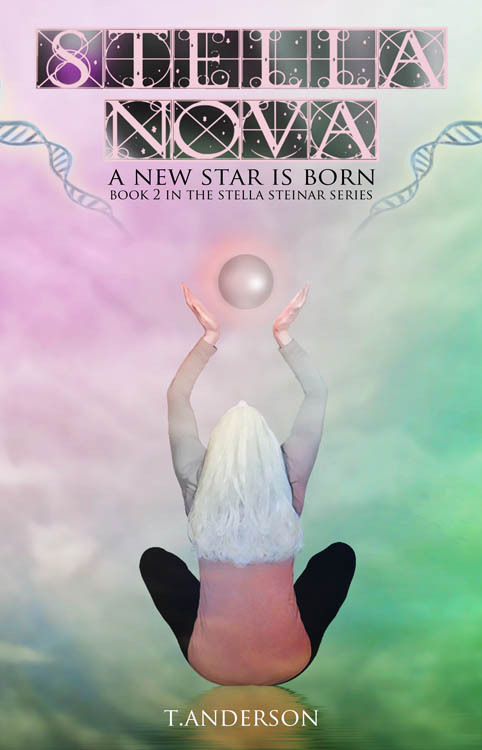 MECHANICSBURG, Pa. — Sunbury Press has released T Anderson’s second novel “Stella Nova: A New Star is Born.” It is the second book in the Stella Steinar series. Following a risky surgery and months in a coma, Stella has awakened to find that her life now is nothing like it used to be. She struggles to accept that it was all a dream but feels her sanity slipping away. So she vows to put her past behind her and begin again. This time Stella chooses travel over college but somehow finds herself back where she left off—California! Once again whisked into a mysterious and transformational quest, Stella must decide what is true and who to trust. Relying on clues from past lives and Scandinavian lore she uncovers her destiny and the ancient secret she is meant to protect—immortality. Stella must embrace change, sacrifice much and risk everything. She becomes something new, someone powerful and unearthly. Stella Nova. Defender of the One. Soon to be available on Kindle, Nook, Sony eReader and other eBook platforms. QUEENS, NY – Sunbury Press has released Fred Burton’s first novel “The Old Songs” about life in Queens in the 1950s and 1960s. 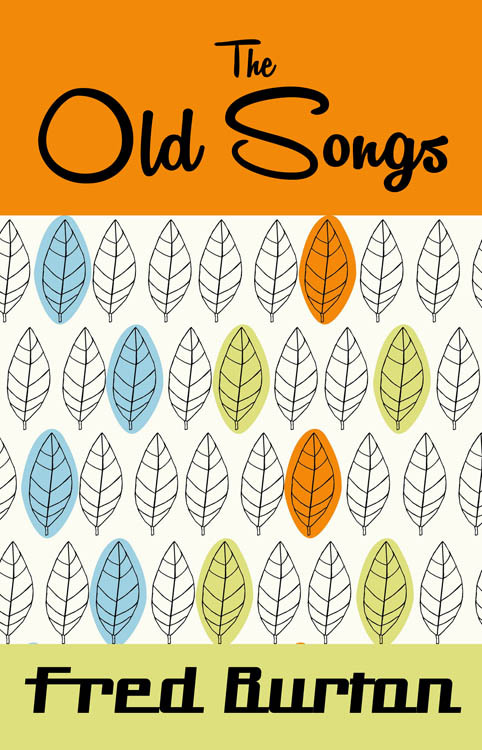 “The Old Songs” takes place in Queens, N.Y. during the 1950s and 1960s. The members of the extended family you meet have been shaped by The Depression and World War II. In response to these traumatic events they are drawn together into gatherings that are fun-loving and raucous. It is not long before a tragic event occurs, taking two of the main characters from them. Those left behind struggle to maintain the things that keep them bound to each other, and shun attitudes and ideas that run counter to them. But evidence mounts that events cannot be managed and controlled as easily as they had expected. Their rigid orthodoxy is tested when they consider the poor treatment that had been directed towards those no longer among them. 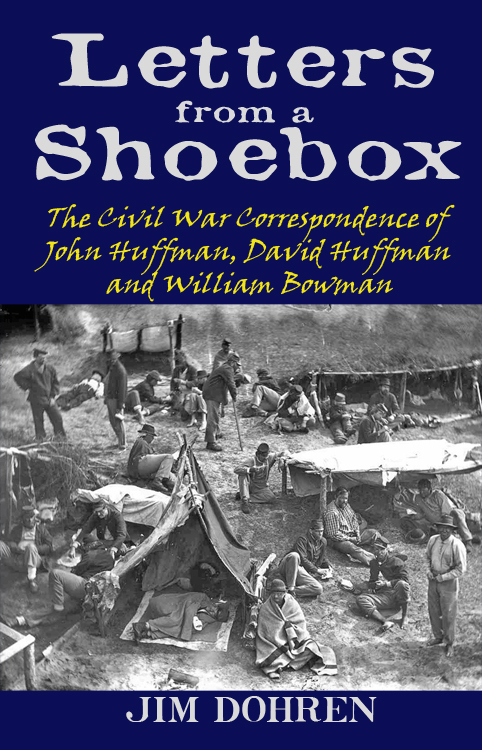 The title captures an essential theme of the book. The first chapter occurs at a family party. The petty conflicts are undone by the singing of songs and you sense the rich heritage this represents. Later, they sing in a restaurant and it becomes painfully clear how the world has passed them by. The concluding chapter has the larger group reassembled for perhaps the final time. The singing begins and feelings of hurt and alienation are met with a counter-force that suggests that beauty can be found even in difficult situations. There are no heroes in this book but truth can be found in the fabric of their shared experience, each strand of which struggles for connection. Their love for each other battles against the crises that have shaped their lives. They are poorly equipped for looking inside themselves because of a morality that scorns analysis of this kind. Despite these obstacles each is given a chance to learn how to forgive, both themselves and each other, and those who grow in this way secure some measure of peace in their lives. 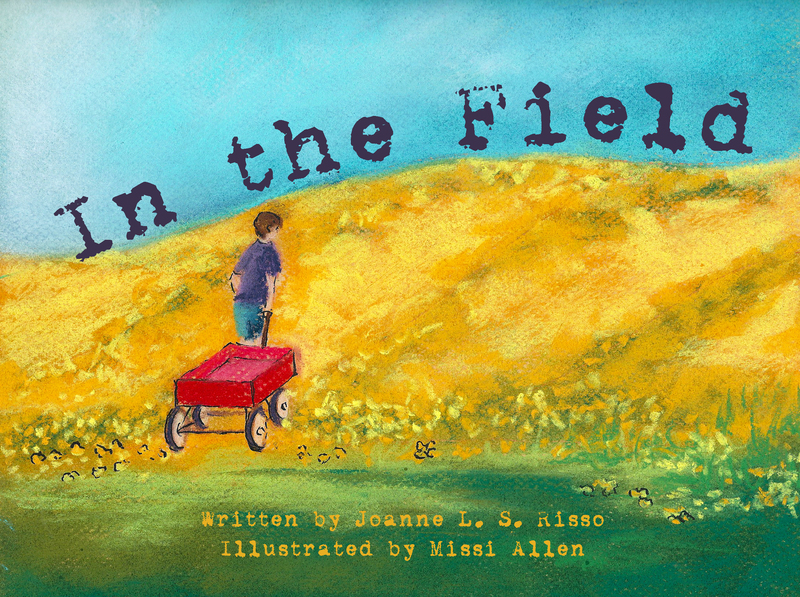 MECHANICSBURG, Pa. — Sunbury Press has announced a new imprint for their children’s category — Speckled Egg Press. “We want to stir up some more interest in this category, which has been lost among our many books for adults,” said VP of Marketing and Author Relations, Tammi Knorr. The company is currently searching for a part-time managing editor for Speckled Egg Press who will make decisions about which titles to publish and to assist in the publishing process. Please send any inquiries to LKnorr@sunburypress.com. 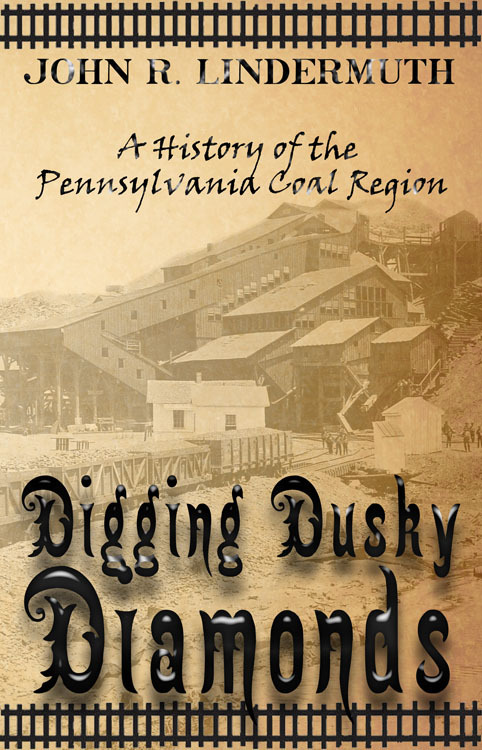 POTTSVILLE, Pa. — Sunbury Press has released John R. Lindermuth’s history “Digging Dusky Diamonds” recounting life in Pennsylvania’s Coal Region. Based on contemporary newspaper accounts and genealogical records, Digging Dusky Diamonds tells the story of the people who made the anthracite coal mining industry a major economic force in Pennsylvania in the 19th and early 20th centuries. How the miners and their families lived and worked, loved and died is recorded in old newspapers and reveals their daily concerns, their diversions, social attitudes and prejudices. The accounts reveal what was different about those people and what has remained constant in us, their descendants. Though the focus is mainly on Northumberland and Schuylkill counties, similar conditions prevailed across the anthracite mining region. A native of Shamokin, Northumberland County, Pennsylvania, J. R. Lindermuth worked as a newspaper reporter and editor for nearly 40 years. Since retiring, he has served as librarian of the Northumberland County Historical Society where he assists patrons with genealogy and research. He is the author of 12 novels and his short stories and articles have been published in a variety of magazines. He is a member of International Thriller Writers, EPIC and the Short Mystery Society. NEW ORLEANS — New Orleans’ Memorial Hospital is back in the news thanks to Pulitzer Prize-winning author Sheri Fink’s new book Five Days at Memorial recalling the events at the hospital during hurricane Katrina. Carolyn Perry’s bookFor Better, For Worse also tells the patient’s perspective. 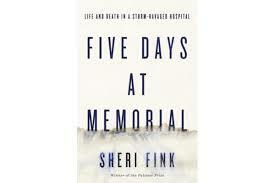 In the tradition of the best investigative journalism, physician and reporter Sheri Fink reconstructs 5 days at Memorial Medical Center and draws the reader into the lives of those who struggled mightily to survive and to maintain life amid chaos. After Katrina struck and the floodwaters rose, the power failed, and the heat climbed, exhausted caregivers chose to designate certain patients last for rescue. Months later, several health professionals faced criminal allegations that they deliberately injected numerous patients with drugs to hasten their deaths. In a voice at once involving and fair, masterful and intimate, Fink exposes the hidden dilemmas of end-of-life care and reveals just how ill-prepared we are in America for the impact of large-scale disasters—and how we can do better. A remarkable book, engrossing from start to finish, Five Days at Memorial radically transforms your understanding of human nature in crisis. A hospital. A hurricane. An English professor in the throes of chemotherapy, his wife at his side. Carolyn Perry and her husband Bob were that couple, trapped by Katrina and marooned at Memorial Hospital in New Orleans after the levees breached, flooding the city. 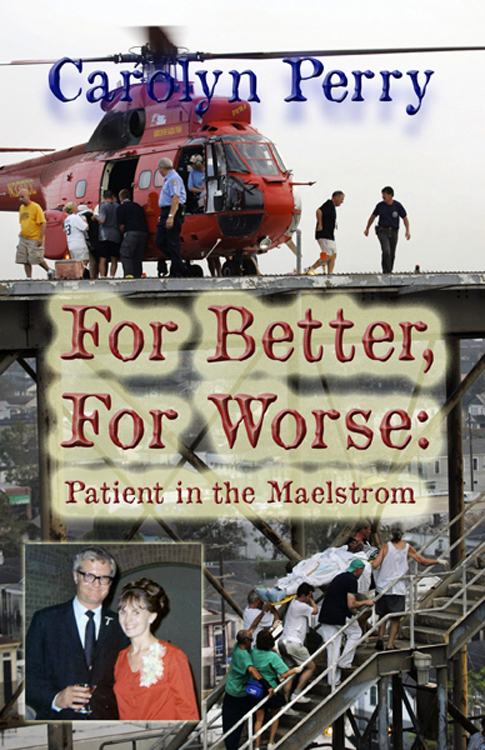 In For Better, For Worse: Patient in the Maelstrom, Carolyn Perry tells the gripping story of two people in a loving marriage, fighting a relentless disease and swept up in the chaos of a man-made disaster. Carolyn Perry is the former Director of the Writing Center at Lock Haven University in Pennsylvania, where she and her husband taught in the English Department. She’s a graduate of the University of Dallas and Washington University in St. Louis. She lives in New Orleans.